A rectangular base holds a rustic resin log cabin on this Log Cabin Table Lamp. A burlap covered shade and pine cone finale are the finishing touches to this lodge style lamp. 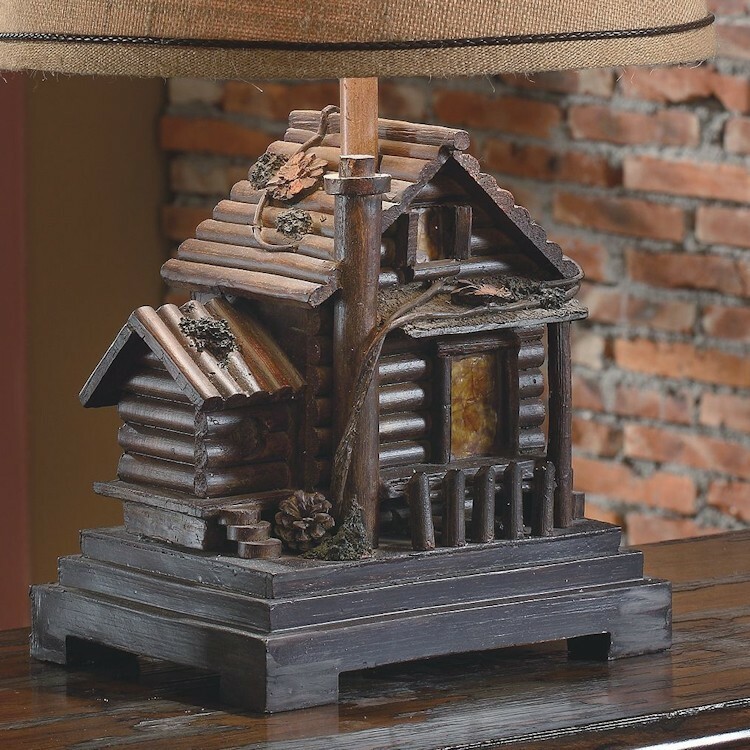 A rectangular base holds a rustic resin log cabin on this Log Cabin Table Lamp. 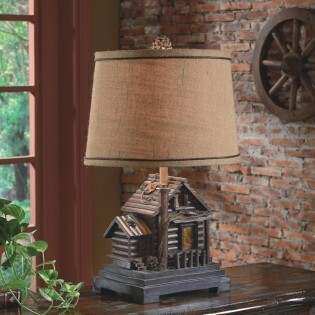 A natural burlap covered hardback shade and pine cone finale are the finishing touches to this lodge style lamp.